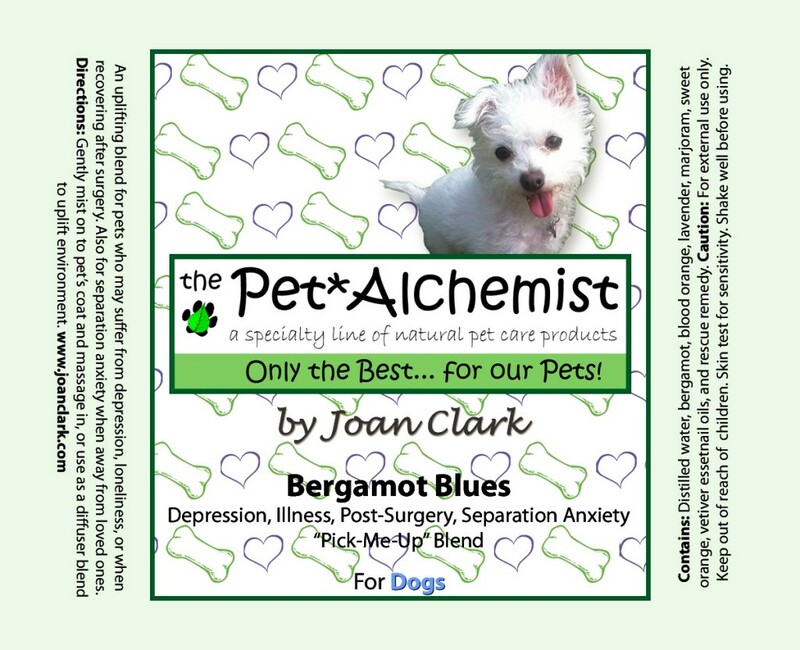 An uplifting blend for pets who may suffer from depression, loneliness, or when recovering after surgery. Also for separation anxiety when away from loved ones. Directions: Gently mist on to pet’s coat and massage in or use as a diffuser blend to uplift environment. Contains: Distilled water, Bergamot, Blood Orange, Lavender, Marjoram, Sweet Orange, Vetiver essential oils, and Rescue Remedy.